Next weeks end brings us to an exciting yearly event – Graduation Day at Rollin’s College. 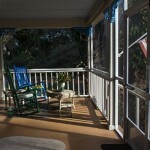 Thurston House is perfect for Rollin’s College Graduation Accommodations. Our location just 3 miles from the college entrance gate, has you far enough away from all the very busiest areas, but certainly is an easy commute back and forth. Now that the Mt. Vernon Best Western has closed its’ doors, we are the closest alternative accomodation away from downtown Winter Park. Enjoy our wraparound porch overlooking Lake Eulalia, and have an early cup of great coffee while watching the sun rise over the serene beauty of it all. The birds will entertain you with their songs too! Rollin’s College Graduation Accommodations always get booked up early, but we do actually have one room still available. Book now as it won’t last long! Rollin’s College 2014 School Year Begins in just 24 days! Students come from all over the world to attend this renowned school. The campus overlooking Lake Virginia has beautiful buildings with classic Florida architecture dating back to the 1880’s. Along with the students, Rollin’s College enjoys a variety of visitors. Parents often will bring their child student here to help get them settled into the campus life. Thurston House Bed & Breakfast in the Winter Park North Orlando area has been welcoming these types of guests for over 21 years now. Our location, just 3 miles from campus, allows you to be convenient and close by, but also lets you appreciate the quiet beauty of this area of Central Florida. We are amidst 8 acres of lake front land, with a variety of gardens, walking paths and even beautiful neighborhoods to stroll to. With only 3 guests rooms, we are never a hectic and busy accommodation, yet always a serene and quiet place. Our wraparound porch is a great place to gather after a busy day, and a snack is always offered at 5pm. The innkeeper then can help with your evening plans and answer any questions you may have. After a wonderful and restful sleep, a full breakfast served at your agreed upon time will be a perfect start to the day. Special dietary requests are always available with notice. 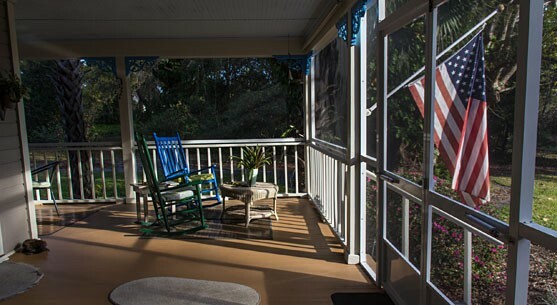 Rollin’s College 2014 School Year Begins – Come stay + sit on our porch, just 3 miles from campus. Please note that there are no extra charges for you here at Thurston House. Safe off street parking is always free, wireless Internet is complimentary and available throughout the property, the 5pm snack is free and the fabulously filling breakfast is included in the price of your room. Book now – before the end of August – for the Rollin’s Family Weekend November 7-9 2014, and enjoy a 10% discount! Just book online, mention Rollin’s Family Weekend and your reservation will be automatically adjusted to this special rate!